CHULA VISTA — A proposal to replace an aging fuel dock at a popular island destination could finally come to pass after years of planning as the California Coastal Commission recently approved plans to demolish the current fuel dock pier at Avalon Harbor and build a new one. A temporary fuel dock plan to allow visiting boaters to refuel during construction was also approved during the commission’s Aug. 12 meeting in Chula Vista. Avalon city leaders have sought a new fuel dock for years. The harbor’s current fuel pier was built in the 1920s and is the city’s only on-water fueling station. Catalina Island’s other fueling dock is located at Two Harbors. The Coastal Commission granted Avalon $1 million in 2009 to help fund a fuel dock rebuild. Construction plans for a concrete fuel dock were approved two years later, but the city scrapped the project when costs to build the dock surpassed $3 million. In November 2014, Harbormaster Brian Bray told The Log city leaders spent the previous seven to eight years trying to upgrade Avalon’s aging fuel dock pier. Those additional funding sources for a concrete fuel dock pier were never identified, according to commission staff. The city revisited plans last year to build a $2 million fuel dock pier made of timber wood. Current plans call for the new fuel dock pier to be 108-feet-by-36-feet, the same size as the structure to be demolished. The city will also remove 74 decaying timber piles and replace them with 55 14-inch diameter bearing piles and 19 12-inch diameter fender piles. Commission staff stated Avalon needs 160 days to demolish the old pier and build its replacement. An interim fuel dock would be available for boaters during that time. “The interim plan involves the use of the city-owned pump-a-head waste disposal dock located on Casino Point, about 200 feet east of the proposed pier. Fuel will be provided to the dispensers on the floating dock through a fuel hose attached to land-based fuel storage tanker trucks,” according to the staff report. Avalon’s current fuel pier services boaters, yachts and tour boats. 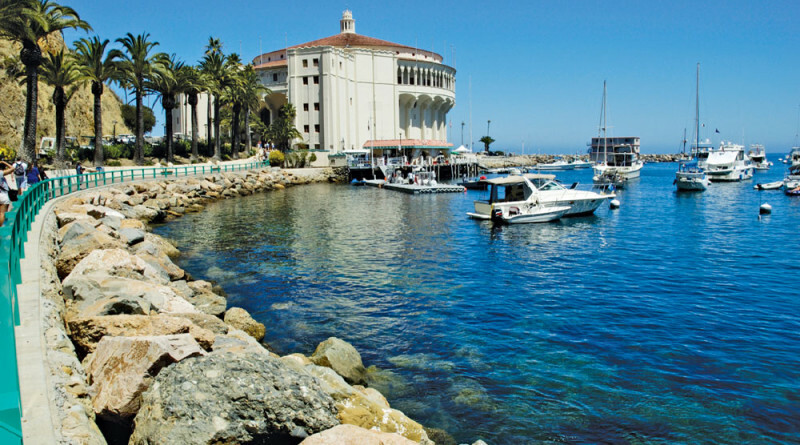 As many as 20,000 transient boats visit Avalon Harbor annually, though not all of them use the fuel dock pier, which is adjacent to the Casino building. The new fuel dock could be ready by the summer of 2016. Avalon’s City Council still needs to approve the final plans. No eelgrass will be impacted by construction work.